Model 1232 is a heavy duty plastic trap for raccons, ground hogs, wood chucks, armadillos and similar size animals. 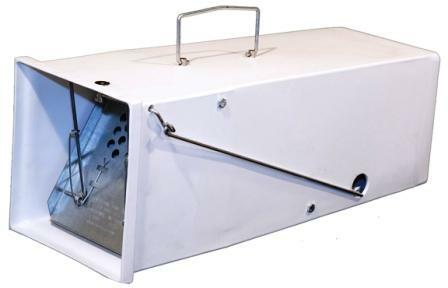 This trap is great for trapping in public areas to protect animals and people passing by. Dimensions: 32" x 12" x 12"
From Kim of Show Low, Arizona on 7/17/2013 .